A lab technician handles biological samples. Drug and device companies no longer have to worry about getting hit with an FDA enforcement action if they don’t promptly report suspected data fudging in a study they sponsor. The Food and Drug Administration is withdrawing a proposed rule that would have required sponsors to notify the agency of any information suggesting a clinical researcher falsified data while working on a study to support applications for product marketing approval. The decision means the medical products industry no longer faces a threat of violating either an FDA law that prohibits the refusal to make reports available or a more general prohibition on submitting a false statement to the federal government. 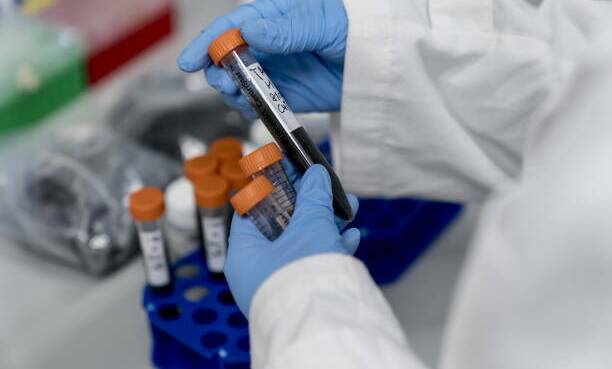 “We have determined that this rule is no longer needed given other existing requirements around the integrity of clinical trial data,” an FDA spokesperson told Bloomberg Law in an Oct. 17 email. The agency’s decision to withdraw the 2010 proposed rule (RIN 0910-AC59) appears in the fall regulatory agenda released Oct. 17. The agenda is a semiannual list of rules that federal agencies are pursuing. The agency defines “falsification of data” as “creating, altering, recording, or omitting data in such a way that the data do not represent what actually occurred.” It includes making up data of out of thin air and manipulating numbers to produce a more desirable result. The requirement would have applied to anyone found to have broken research integrity rules or who was suspected of data falsification. Reports of suspicious researcher behavior could have formed the basis for FDA administrative or enforcement actions, including placing a clinical trial on hold, or initiating disqualification or criminal proceedings against investigators. The agency also could exclude suspect clinical trials from consideration in market approvals, meaning a drug or device company might have spent millions of dollars on research it can’t use to support a marketing application. The FDA’s bioresearch monitoring program conducts inspections on hundreds of clinical researchers a year across its drug, device, and biologics centers to ensure the protection of research subjects and the integrity of data submitted to the agency. In 2017, the program conducted 965 inspections, more than 700 of which examined the work of individual scientists. The FDA took enforcement action on about 1 percent of those researchers, according to an FDA presentation. About three-quarters of those cases resulted in no enforcement action, and the remaining 26 percent settled any findings with the FDA in voluntarily agreements. When the agency issued the proposed rule in 2010, it said the reporting measure would allow it to identify persons who have falsified data and more effectively address research integrity problems.